I have decided to start again on my Sunday stash project. After taking a break from buying fabric so I could bust a little of my stash. Now I think it's time to share again. Being that it is a new year, and I have completely lost track of them all. I am starting from #1. This was the lovely stack I picked up late last week from the Fat Quarter Shop. This is actually for a specific project in mind. 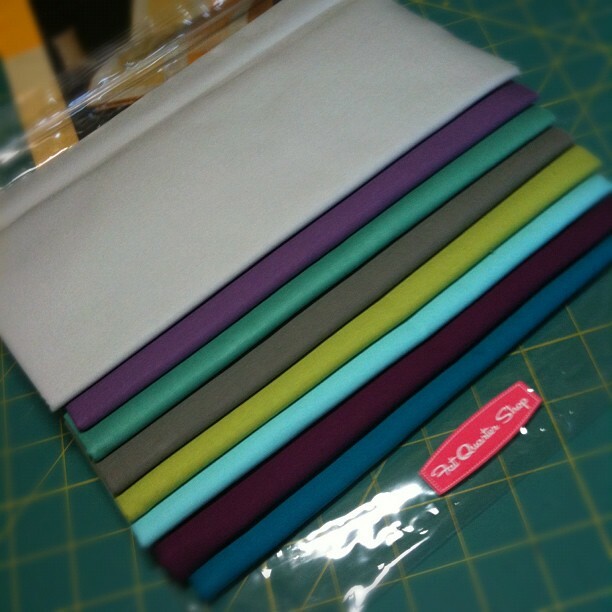 I have joined another swap called "For the love of solids". A modern swap making a desired item for your secret partner in colors they love, but only using solid fabrics. I hope I am on the right track for my partner. Lovely palette! Thanks for posting the color specifics!